PCOS is one of the most common hormonal disorders in the developed world. In fact, it’s thought to affect almost 7% of pre-menopausal women in the US (1). But there is surprisingly limited information on how to treat it naturally. 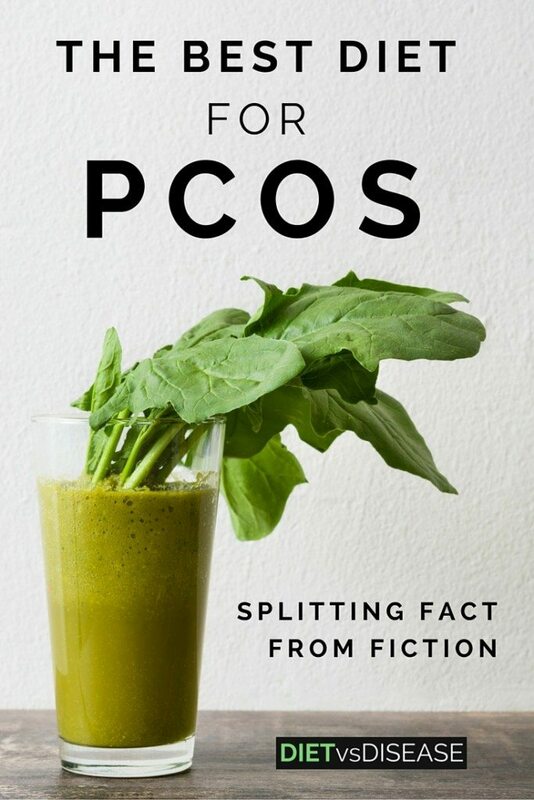 This article explores the best diet for PCOS, as based on scientific evidence. 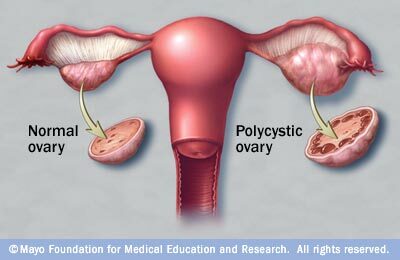 PCOS (Polycystic ovary syndrome) is a condition characterised by hormonal imbalances in women. Specifically, it’s an imbalance in the amount of male hormones (or androgens) produced by the ovaries. This short Youtube video illustrates the condition well. The term polycystic ovary means, “to have multiple cysts in the ovaries.” However, the development of cysts isn’t actually necessary for the diagnosis of PCOS. Unfortunately there is no known cure yet, and the cause is unknown. However, genetic predisposition coupled with inadequate diet is thought to be a major driver (2). Summary: PCOS is characterised by an imbalance of male hormones in women. It is likely a genetic condition triggered by diet. Excessive androgen secretion appears to be responsible for most PCOS symptoms. Insulin resistance and associated metabolic problems. Summary: PCOS has a cluster of symptoms related to increased male hormone levels. Whichever diet or eating pattern helps you to successfully lose weight and lower insulin will have the best possible outcomes. A low carb diet is an eating pattern where carbs make up roughly 30% or less of your energy intake. By comparison, the average American diet is around 60% carbs or more than 300 grams per day. Reducing carbs tends to equal a higher protein intake, shown to keep you feeling full for longer and reduce total calories consumed through the day (9, 10). That’s why low carb diets can work well for fat loss when not counting calories. 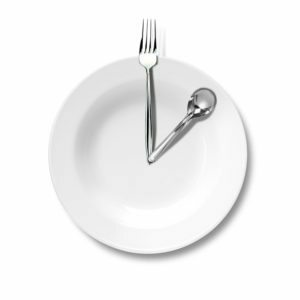 Strategies to reduce appetite are even more important for PCOS patients, as studies indicate their levels of the “hunger hormone” ghrelin are dysregulated (11). Low carb diets are also very useful for treating insulin resistance and type 2 diabetes. But note those taking metformin will need to speak with their doctor first. A ketogenic diet is a very low carb, high fat eating pattern (as opposed to higher protein). Consistently eating this way produces ketones, which serve as the main energy supply for your body instead of carbs. This makes it especially useful for reducing insulin levels and weight loss. In a small study of 5 women with PCOS, a ketogenic diet reduced body weight by an average of 12% after 24 weeks. There was also significant improvements in PCOS hormones, and a 54% reduction in fasting insulin levels (12). It’s promising, but incredibly difficult to stick with long-term. A very low-calorie diet is an intake of 800 calories per day or less. One study showed that it causes significant weight loss in women with and without PCOS after 12 weeks (13). Problem is that VLCDs are designed for rapid weight loss in the short term, and are not sustainable. Additionally, weight loss from severe calorie restriction severely harms your metabolism, ironically making you regain weight more easily. One study has also shown that a diet pill called helped women with PCOS lose weight over a 24 week period (14). However, similarly to VLCDs, a diet pill is not a sustainable solution. Unfortunately there are no short-cuts. Summary: The best diet for PCOS should promote weight loss and reduce insulin levels. A low carb diet is the best solution if low fat has not worked for you, with a ketogenic diet the more extreme option. VLCD and diet pills will not work long-term. Aside from overall eating patterns, there are some common food concerns of PCOS patients that should be clarified. One of the main issues is dairy consumption. Some observational studies have linked dairy intake with increased risk of PCOS, especially low-fat dairy products (15, 16). In contrast, full-fat dairy has been linked to a reduced risk of infertility, which suggests a protective effect on PCOS (17). It’s really unclear at this stage, and we cannot draw any conclusions from observational studies. It may be that those who drink more dairy also eat more junk food, which is why that trend was observed. 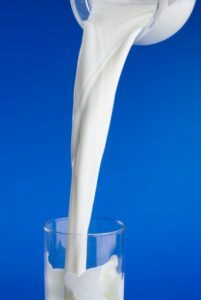 If low-fat dairy is indeed bad for PCOS, and full fat dairy is not, it’s likely because low-fat dairy and other “diet” products have significantly more sugar (18). In any case, dairy-free is certainly worth a try if other changes have not helped. 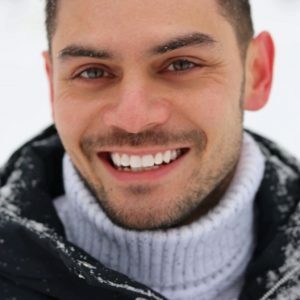 With a wholesome diet, dairy is not essential for the average person (there are always exceptions of course, such as gastric bypass patients and other specific medical conditions). Summary: Some studies have linked dairy consumption with an increased risk of PCOS, particularly low-fat dairy. However there is no conclusive evidence yet. Soy products are made from soybeans, the protein-rich seeds of the soy plant. 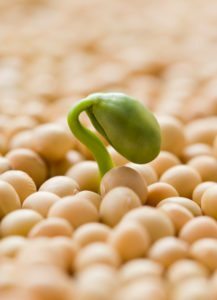 Soybeans are rich in phytoestrogens, a compound so similar to the human estrogen hormone that it can disrupt its function (19). The effects of soy on hormone-sensitive conditions like endometrial and ovarian cancer are uncertain, which also leaves a question mark for those with PCOS. Both observational studies and clinical trials have found those with a high soy intake have no greater risk of endometrial cancer, which is encouraging (20, 21). There was also a clinical trial that showed phytoestrogen supplementation for 3 months had no negative effects, and may even have benefits for PCOS patients (22). There isn’t much evidence to go by, but it seems moderate soy consumption is likely safe in a diet for PCOS. In saying that, it seems an unnecessary risk to eat a lot or increase your intake. Summary: Regular soy consumption is likely safe for PCOS patients, but the research is not thorough. Vitamin B9 is essential to reduce the build up of a compound in the blood called homocysteine. High levels are thought to be an independent risk factor for heart disease and stroke (23, 24, 25). Inositol is a type of carbohydrate that is found in a wide range of food sources such as fruits, beans, grains and nuts, and also occurs naturally in the human body. Myo-inositol (MI) and D-chiro-inositol (DCI) are the two main types of inositols that have been studied for their benefits on women with PCOS. Improved blood lipid (fat) profiles (31, 32, 33, 34, 35, 36). A higher supplemented dose of 2-4 grams of inositol per day for a minimum of 6 months may help to achieve the benefits outlined above, therefore improving the symptoms of PCOS (31, 34). It is certainly worth considering if you are struggling to improve symptoms despite major diet changes and lifestyle improvements. Summary: Supplementing with 2-4 grams of inositol per day appears to be a promising way to help many symptoms associated with PCOS. Vitamin D, also known as the ‘sunshine vitamin’ is mainly made by the body after adequate sun exposure. It is also found in small amounts from food, including fish, eggs, some fortified milks and margarines. Unfortunately, 67-85% of women with PCOS are Vitamin D deficient (less than 20nmol/L) (37). Increased risk of cardiovascular diseases (37, 38, 39). Depending on your starting levels of Vitamin D, supplementation of 600IU-2000IU of Vitamin D per day is suggested to increase levels back to at least 75nmol/L (37, 39, 40). A much higher dose may be needed in severe Vitamin D deficiency (41, 42, 43). Summary: Most women with PCOS are deficient in Vitamin D. Using a supplement to raise Vitamin D levels in the blood may help to improve PCOS symptoms. L-Carnitine is a naturally occurring amino acid derivative that plays a role in energy production and glucose metabolism (44). 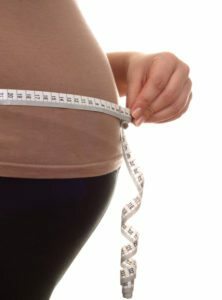 It is known that obese individuals in general and with PCOS have low blood levels of L-Carnitine. However, low levels have also been found in lean PCOS patients (44, 45). Regardless of weight, half of women with PCOS have problems metabolising glucose and have insulin resistance (46). This is a concern, because it increases the risk of other health conditions long term, such as cardiovascular disease and diabetes. 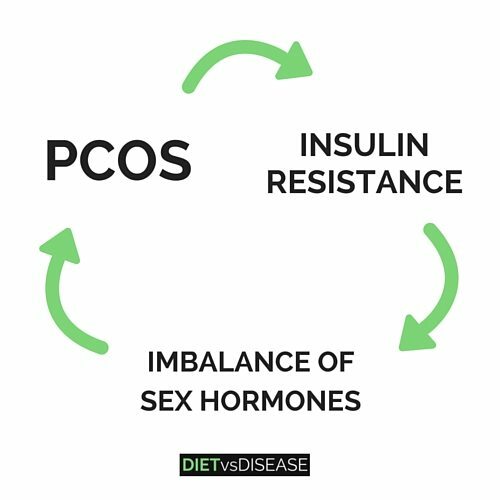 Fortunately, a recent study found that supplementation of up to 250mg of L-Carnitine per day for 12 weeks was a successful additional treatment to manage insulin resistance or obesity in women who have PCOS (45). So this is certainly something to consider if you are having trouble with symptoms, even after making diet changes. Summary: Women with PCOS have low levels of L-Carnitine, which can make glucose metabolism and insulin resistance worse. Including a L-Carnitine supplement of 250mg per day for 12 weeks can help to improve these problems and help with weight loss. Dinner: Ground beef + lentils with veggies and full fat Greek yoghurt. Dinner: Chicken stir-fry with broccoli and asparagus. Breakfast: Full-fat Greek yoghurt and berries. Dinner: Cheesy potato, cauliflower and broccoli bake (gratin). Lunch: Leftovers from previous dinner + 1 orange. 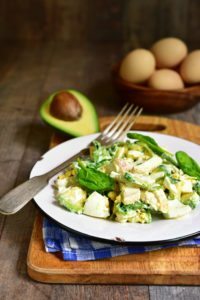 There are more low-carb recipe examples here. This includes shifting your eating pattern and considering certain supplements. Be sure to discuss any diet changes with your doctor, especially if you use metformin and are considering a low-carb diet for improving insulin levels.